Patrick Youssef joined the ICRC in 2005 and completed different missions in Sudan, Chad, Iraq and Guantanamo Bay. Between 2010 & 2013, he was the deputy head of operations for the Near and Middle East covering Yemen, the Islamic Republic of Iran and the GCC. Prior to his current assignment which started in January 2016, Mr. Youssef was the head of the Iraq delegation for more than 2 years. In his role of deputy regional director for Africa, Mr Youssef manages ICRC operations in the Maghreb, the Sahel region, the Lake Chad bassin and West Africa. In addition to his field experience, Mr. Youssef worked on specific topics related to the respect of International Humanitarian Law such as the treatment and judicial guarantees of persons deprived of freedom, the recruitment of children in armed forces and Transitional Justice. In January 2016, he was recognized by the World Economic Forum as a Young Global Leader. 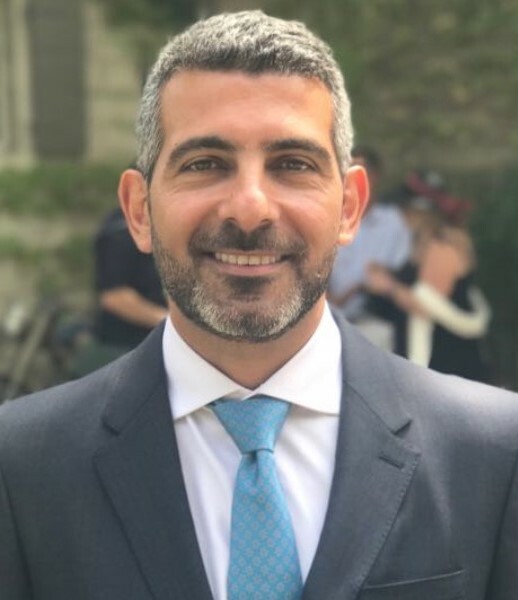 Born in 1978, Patrick Youssef has a degree in law and a master’s degree in diplomacy and strategic negotiations from Paris Sud XI and an LLM in International Law in armed conflicts from Geneva University. Education is the most sensitive of all essential public services to shocks in the system. Conflict and violence systematically disrupt education for millions of children daily. The International Red Cross role is to identify these disruptions and where possible to work towards assuring (continuity of) access to education during these periods, in collaboration with others.